One hundred years ago, 18-year-old Francis Poulenc was looking for a composition teacher and, being recommended by the pianist Ricardo Viñes to Maurice Ravel, went to meet him, scores in hand. Ravel was already well-known, having composed much of the music for which he is famous today. He was also part of the new breezes blowing through French music at the time of World War I. With Claude Debussy, Erik Satie, Ravel, and others, generations were traveling in new directions, away from the German symphonic tradition and away from the 19th century. Viñes and Ravel were part of a group of artists, in fact, who met regularly to play for each other and to discuss these very issues. "The Apaches" they called themselves, the name not only of the Native American nation but also a French word meaning "The Hooligans." How apt for the young Poulenc, just starting, to learn from Ravel, a master in this new world. The young man played some of Ravel’s music at the piano, but Ravel quickly stopped him to look at Poulenc’s own music. Criticizing it, he suggested he ought to consider the music of someone who was a genius: Camille Saint-Saëns. Saint-Saëns! That old man, was he even still alive? Yes, he lived to 86, dying in 1921. Saint-Saëns, that curmudgeon who detested everything new, who called Debussy’s music noise, who after The Rite of Spring called Stravinsky insane? Saint-Saëns, who churned out music without effort and without depth and without soul by the truckload? 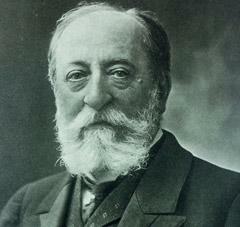 And worst of all, in 1917: Saint-Saëns, that most German of French composers? Ravel recommended Saint-Saëns? What is it about Saint-Saëns? We hardly know what to make of him. 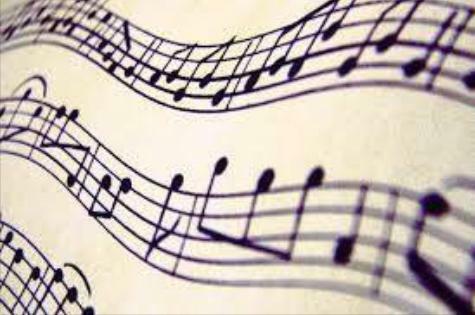 Some of the best-loved music is his: the “Organ” Symphony; Danse macabre; Introduction and Rondo capriccioso; Carnival of the Animals; and some piano, violin, and cello concertos. But there are hundreds of works, and he may be the composer who never had an off day (Dvořák is another). His music has an ease that can be mistaken for lack of angst, a refusal to meet emotion head-on. Hector Berlioz (while recognizing his talent) famously said about Saint-Saëns, "He knows everything, but lacks inexperience." But go past the famous Saint-Saëns and appreciate what might be his real genius. His First Cello Concerto is ubiquitous, but some consider the Second to be even grander. The Organ Symphony, his Third, is justly revered, but the early Second is a deft handling of contrasts and balances. Symphonies and concertos were forms as German as any, and they kept many French composers at arms-length from Saint-Saëns, but we can appreciate the elegance, the clarity, the control of forces. He isn’t baring his soul; he lets us cultivate ours. We can, if we allow ourselves to hear his voice, to open our hearts to Saint-Saëns. "Mon coeur s'ouvre à ta voix" is the gorgeous mezzo-soprano aria from the opera Samson and Delilah, and it can remind us that while Poulenc left Ravel disappointed, we might do well to take his advice.